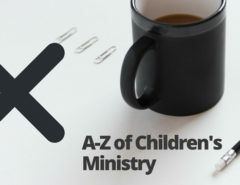 Originally in 2010 I completed an epic quest to write an A-Z of Children’s ministry, Now because of the epic fail detailed on an earlier blog post I am reposting an updated 2018 version! This will be neither comprehensive nor incomprehensible… it should fall somewhere in the middle I hope. So let’s start at the very beginning… a very good place to start. George Barna’s research has shown that at a typical U.S. Protestant church, more than four out of every ten people ministered to during the week are children, yet seven out of every eight ministry dollars are spent on adults. My own research has shown that every 9 out of 10 nagging children will get what they want from a toy store 2 out of every 3 times*. Whatever the stats are, the reality is that without parents… without adults both to volunteer/lead/train/inspire we cannot reach our kids. If you see adults as the solution, they can become the solution. If you see them as the problem, then they can only become bigger problems. 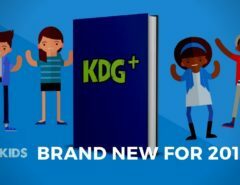 Family Pastor (usually an adult) is one of the fastest growing new ministry titles in the U.S. and this will continue into the next decade, as churches strive to equip and empower parents and work together to reach a generation. It’s easy to stumble head first into the seething maelstrom that is jealousy over perceived budget unfairness, but don’t do it. Without the adult bums on the seat you don’t have anything to do. Set your laser focus on the outcome! Kids following Jesus for the rest of their lives and it starts with adults bringing their kids. Previous Article Story = Danger?